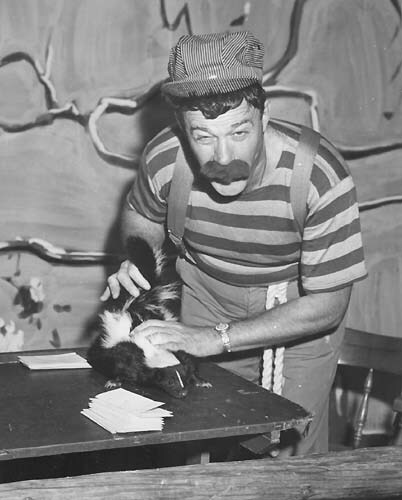 Here’s Axel in the Tree House with a skunk, probably around the fall of 1954. 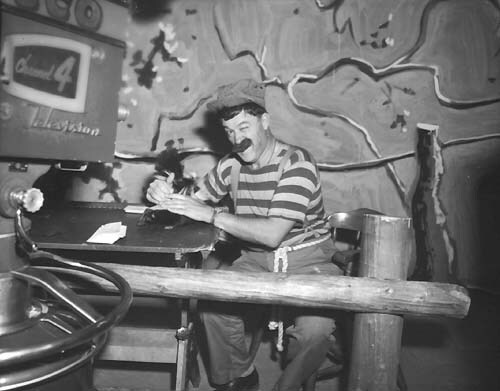 Notice that by this time he is wearing the broad-striped shirt, but his mustache is much larger than it was later. 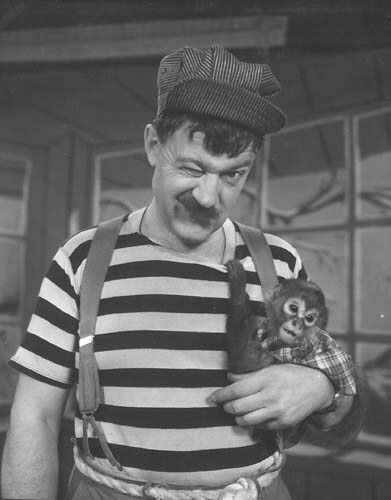 Axel with Sylvia the monkey, who was a frequent, though rather uncooperative, guest on Axel and His Dog during its first year. 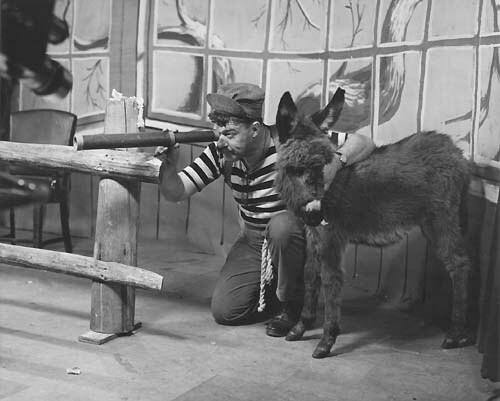 Axel and Hazel the burro — like Sylvia the monkey, Hazel was another frequent animal guest during the first year of Axel and His Dog. Her tendency to relieve herself in the studio may have been a factor in her elimination from the cast! 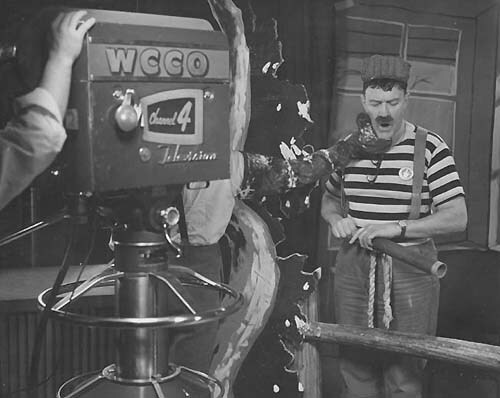 Axel and Towser in the Tree House, probably in late 1954 or early 1955.